Outstanding Contribution Award for Jan Kotera et al. Jan Kotera, Ph.D. student in the Dept. 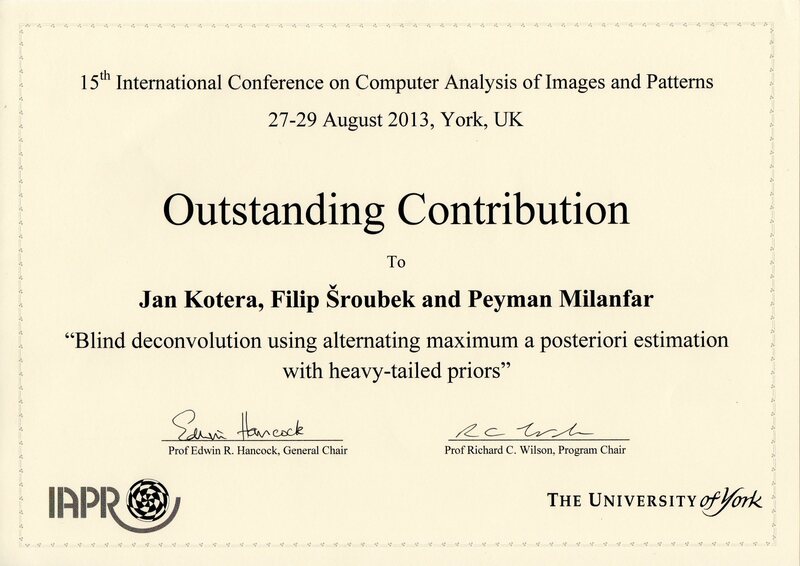 of Image Processing, received an award for outstanding contribution at the 15th International Conference on Computer Analysis of Images and Patterns (CAIP 2013) held in York, UK, for the paper "Blind deconvolution using alternating maximum a posteriori estimation with heavy-tailed priors" co-authored by Filip Sroubek and Peyman Milanfar.